It takes a special kind of wisdom and understanding to be able to market and sell an old house like a champ. And when it comes to that, we’re proud to say that the following agents have experience selling historical homes and a love for them that puts them in a class of their own. Simply put: These guys? The best of the best. I learned to love classic homes when I was very young. My father, a civil engineer, was an architect and a building designer at heart, and he taught me to appreciate design and form. I, too, became a civil engineer, but left in 2003 to pursue the thing that truly speaks to me: connecting people with the homes they love. Over the years, I have had the good fortune to love, improve, and enjoy many home styles including simple mountain cabins, Craftsman style homes and Sears Roebuck kit houses, mid-century modern homes and Eichlers, and a Victorian or two. My team and I work in and around all of Northern California, and in Lake Tahoe. We are based in the Sacramento and Sierra Foothills region. Elizabeth holds a specialized designation from The National Trust for Historic Preservation and the California Preservation Foundation to market and sell Historic properties. She has successfully represented an unparalleled caliber of Architecture by such noted Architects and Designers as; Norm Applebaum, J. Herbert Brownell, Loch Crane, Wallace Cunningham, Homer Delawie, Gordon Drake, Russell Forester, Irving Gill, Louis Gill, William Sterling Hebbard, James Hubbell, Herbert Jackson, William Templeton Johnson, Kendrick Bangs Kellogg, Walter Keller, William Kesling, Sebastian Mariscal Studio, Cliff May, Patrick McInerney, Frank Mead, Richard Neutra, Frederick Earl Norris, Herbert Palmer, Parkinson & Parkinson, Charles & Edward Quayle, John August Reed, Richard Requa, Lilian Rice, Sim Bruce Richards, Lloyd Ruocco, Hal Sadler, Jonathan Segal, Rudolph Schindler, Lloyde Therkelsen, Edgar Ullrich, Emmor Brooke Weaver, John Lloyd Wright and Richard Yen; as well as numerous properties listed on the National Register of Historic Places and/or designated by the City of San Diego as Historic Sites. Educated at the University of Southern California and awarded a Finance degree with an emphasis in Real Estate, Elizabeth has an insatiable curiosity about what makes good design. The countless hours spent keeping abreast of trends, studying Architectural/Design media, attending home tours throughout the State and meeting with Architects and Designers to discuss their craft make Elizabeth particularly well versed in her representation of a property. Elizabeth remains passionate about how Art, Architecture and Design enrich our daily lives. Thomas McGowan has been buying and selling historic homes for over 45 years. This was throughout his acting career from which he is now retired, though he still does occasional roles in film, print, and commercials. He and his wife Celia love all periods of historic homes and have experienced living in many all over the country. From tiny cottages to unbelievable mansions, Thomas has a vision for any house as soon as he walks in the front door. Whether historic log cabins, Federals, Georgians, Victorians or Greek Revivals, he has either lived in them or sold them. He specializes in Litchfield County, CT but also sells in Eastern New York and southern Massachusetts. I have been a top real estate agent in Greenwich, Connecticut for over 30 years, where I have lived with my attorney husband and three children. I work with builders, first-time home buyers, buyers trading up and down, as well as designers and investors. I work hard educating sellers who have older homes to make their homes appealing to today’s discerning buyers. Making an older home more presentable can help to prevent it from being razed. My parents owned a 1750 stone Greek Revival when I was a child. Later on my family moved to a 1929 Tudor with great details, where I lived for the next 20 years in Rye, New York. I love the feeling of being in an older home and the history that goes with it. I have a B.A in American History from Boston College and a M.P.A from Suffolk University in Boston. My father, brother, brother-in-law and uncles are builders. Home redesigning and renovation are my great passion. I always appreciated the unique character of historic buildings even as a child growing up in Providence,Rhode Island. Post college, I rented a circa 1830 barn converted into a residence in northeast Connecticut. I developed a strong interest in historic architecture as well as local history and antiques. Since that time I have rehabbed several historic homes in Connecticut and now in Florida. Palatka has one of the largest collections of existent, historic architecture in Florida. Real estate has given me the opportunity to share my historic home rehabilitation experience and my appreciation for Palatka’s architecture with others. 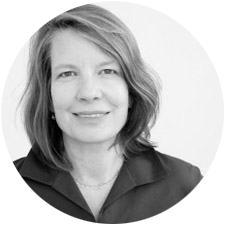 Janie is deeply passionate about historic and architecturally significant properties, helping clients navigate even the most complex processes relating to preservation practices, income tax credits, or adaptive reuse projects. Janie’s family has lived in St. Augustine, Florida since 1574, making her a 15th-generation First Coaster. 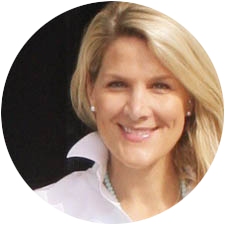 She grew up in Northern Virginia and lived in Washington, D.C., Germany and Miami before moving to Jacksonville. Janie is multi-lingual, speaking both German and English. Janie regularly lends her expertise to courses, webinars, and podcasts on luxury real estate, and the list of her professional accolades is endless. Let Janie go to work for you! I have had a passion for historic homes since the age of 8. Throughout my adult life, I have spent countless hours researching antebellum towns in Georgia. Utilizing my knowledge and passion I helped begin a mission in Roswell, GA to save the area around an antebellum, Greek Revival from being developed. A group of my peers and I were successful in saving Mimosa Hall and Gardens by working with the city of Roswell, GA to purchase the home. Thus began our 501(c)3 non-profit, for which I am currently the presiding treasurer and past secretary. I have attended the 3 day Historic Preservation Trust seminar provided by the Georgia Trust for Preservation, of which I am an active member. I have CE credits in historic preservation and identifying historic styles. In January, I begin course at Georgia state to receive my “Historic Preservationist Certificate.” My favorite past time is riding around old towns, taking down addresses of empty historic properties and then contacting the owners to get them listed. 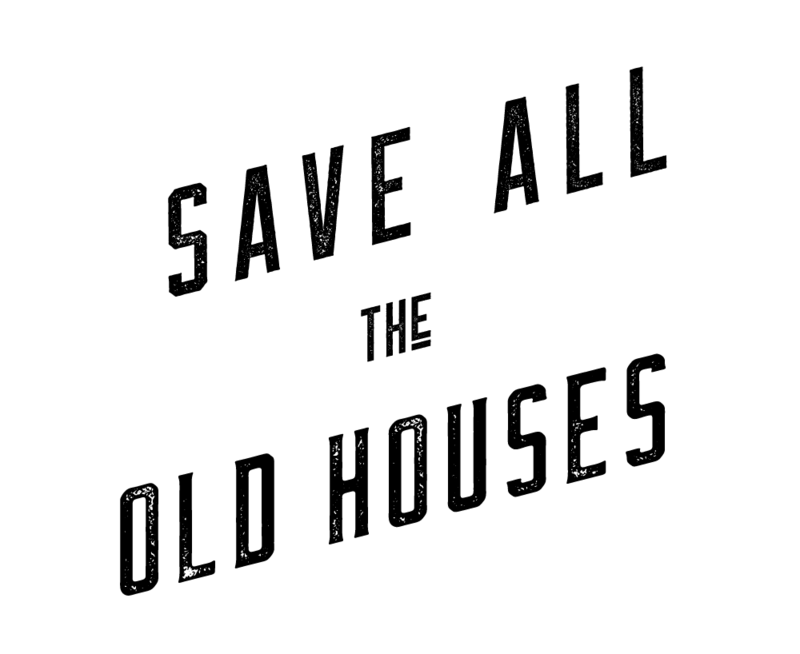 I believe there is someone for every historic home worth saving. Notice the background on my realtor photograph, which was taken in Marietta, GA at my very first listing—an 1838 Federal-turned-Victorian home. I look forward to placing people into historic homes and being featured on one of my favorite sites! Thank you for your consideration! Carmen’s passion for her work has led her to many professional real estate awards since her start in real estate in 1998. Her knowledge of the market and fine attention to detail has customers seeking her services when they want to buy or sell real estate in Metro Atlanta and beyond. Carmen’s focus is to listen to her clients and get the job done. She enjoys working in all price ranges and represents clients in a wide range: those who are first-time homebuyers to clients who looking to purchase or sell multimillion-dollar estates. Carmen resides in the Morningside neighborhood of Atlanta with her husband and their two daughters. She volunteers for the Atlanta High Museum Wine Auction, Chastain Horse Park and Geilston Hospital. She is an active member at All Saints’ Episcopal Church. Carmen enjoys horses, wine, running and being with her family in her spare time. Paula was born in Chicago, IL and attended Indiana University-John Herron School of Art; achieving a BA in Art History with emphasis on historic architecture and fine art conservation. Paula and her husband Douglas were married in 1986 and in 1990 began the massive restoration project of two houses in Anderson, Indiana’s West Central Historic District and in 2015, she was appointed by then-Mayor Kevin Smith to the City of Anderson’s Historic & Cultural Preservation Commission, the administrator of the Historic Preservation Guidelines for both the West Central and West 8th Street Historic Districts in downtown Anderson. She is currently representing both buyers and sellers throughout Indiana in the Historic Properties Market while also restoring her own historic home. I understand that buying or selling a home is more than just a transaction: it’s a life-changing experience. That’s why I am dedicated to providing exceptional, personalized service for all of my clients. I take great pride in building relationships and working relentlessly on my client’s behalf; helping them achieve their real estate goals. Our full walk-through VIDEOs are 2nd to none – check them out HERE. Go VIP – be the 1st to see new properties BEFORE they hit the market. Intrigued? Want to see the area? Go HERE. For some reason or another, we are drawn to these unique and unusual properties. Good! Anyone can sell tract houses – and good for them. We like something different – something special that is appreciated by unique people. Helping buyers find that something special and Representing the Finest Properties in Kentucky – call or text me anytime. Peter W. Patout has always had a passion for the type of magic and old world charm that can only be found in historic properties. He’s a luxury realtor licensed in Louisiana and Mississippi with Talbot Historic Properties and offers unrivaled levels of service for both buyers and sellers of significant historic properties. Patout conducts extensive historic research exclusively for his clients. The culmination of his efforts is a detailed historic property portfolio — an invaluable marketing asset to sellers, and a coveted information tool for prospective buyers. Clients also have access to Patout’s highly developed local, national and global marketing network and listing services. Patout’s appreciation for historic properties extends to his personal life. He’s a proud long-term resident and historic property owner in the French Quarter of New Orleans. He grew up in Southwest Louisiana among the sugarcane fields of Bayou Teche country where he still maintains a family property in Patoutville. HIs roots run deep throughout the MS Gulf Coast region where his family has owned property for over 300 years. 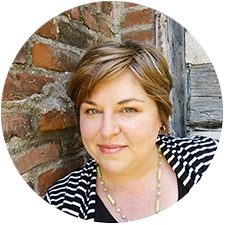 Lisa specializes in historic homes on Cape Cod. With a BFA in Interior Design, Lisa had an early love for the charm and craftsmanship of antique homes. She has continued to learn about preservation through membership in Historic New England, the National Trust and Preservation MA. Currently serving as the chair of the Sandwich Historical Commission, Lisa takes and active role in advocating for preservation in her community. She lives in an 1827 Boston and Sandwich Glass factory dwelling house with her husband, 2 cats and Hazel, their mini schnauzer who won “Best Kisser” in Sandwich. Lisa can assist in the purchase or sale of your historical home. I have been privileged to have listed and sold some of the iconic antique homes and estates in Worcester County, including Calmore in Dunstable, Bryn Coron in Princeton, and Winterwood in Petersham. I work with my professional stager and photographer to present these jewels in a way that showcases their distinctive character and features, and makes them irresistible to the perfect buyers. Detroit House Company was founded by Mark Hoffman who brings a unique approach to Real Estate through his training in Architecture and Design. We focus on historic homes in Detroit and nearby Suburbs. We represent both buyers and sellers in real estate transactions and consult with homeowners on renovations. Mark has worked extensively in Detroit and lives in Grosse Pointe Park. Mark holds degrees in architecture from University of Michigan and University of Notre Dame and worked in that field for over 10 years before becoming licensed in real estate in New York City in 2010. CLICK HERE to see our house of the month feature. We would love to meet with you and tour some historic properties together! Since she was a young child, homes have held a special fascination with Jennifer. Growing up in a southern Indiana town renowned internationally for its architecture, her interest in historic homes became a passion. Eventually that led to restoration projects, her largest being an 1893 Queen Anne Victorian. At some point it had been converted to five apartments, but Jennifer and her husband brought it back to its original single family splendor. Since moving to Minnesota, Jennifer has created a special niche in the Twin Cities as a “Historic Home Specialist”. Clients quickly discover that her passion for old homes is a great advantage when it comes to marketing their home. While most agents just see them as another home to sell, Jennifer understands and appreciates the historical significance, architectural detail, and special story that each home possesses. She takes the time to research her historic home listings, digging deep into their pasts by utilizing historical societies, old documents, books, and even finding previous owners for important information. Buyers of old homes love the story behind them, and Jennifer is the perfect “story teller” to share it. Jennifer also takes it a step further by writing her blog Historic Homes of Minnesota. As a photographer, her camera is always at her side as she travels around Minnesota, just in case she comes upon an old church, historic home, or architectural masterpiece. She takes her finds, researches them, and places the stories on the blog. Jennifer is quickly becoming known as the local Storyteller for historic homes and the “go-to agent” for marketing historic real estate in the Twin Cities. She is a member of the Minnesota Historical Society, writes the Ramsey Hill Home Tour Book, and is an Old Home Certified instructor with the Preservation Alliance of Minnesota. Specializing in vintage properties (1980s and earlier), Shannon is very knowledgeable about old houses and especially loves selling mid-century ranches, historical homes, suburban “islands” with acreage/woods/gardens/garages, and pretty much any place with unique personality. A member of St. Louis County’s Historic Buildings Commission, she has helped preserve a number of endangered properties, including the historic McClay Mansion, circa 1820. I live in an antique and have been a full service realtor specializing in antiques in NH and MA for over 20 years. I recently integrated my business, Historic and Distinctive Properties into The Adams Home Team of Keller Williams Realty based in Nashua, NH. I work with buyers and sellers in this unique market niche. I love the mystery that old homes present! I grew up in an 1800’s New England farmhouse. Back then, in my hometown, everyone lived in an old home. Whenever I enter a historical home, I try to envision why the original builders did what they did, how they really lived in the house and why changes were made. The secrets these wonderful old homes hold are fascinating. Some old properties just need to be loved! I enjoy helping future buyers explore, find and make these old houses their forever homes. A Licensed Broker in the States of Vermont and New Hampshire, I hold the designation of Certified Residential Specialist (CRS), the designation of Certified Buyer’s Representative (CBR), Accredited Buyer’s Representative (ABR) and the National Association of REALTORS® e-PRO certification. I am a member of the Real Estate Buyers Agency Council and a graduate of the Broker’s Institute. I work primarily with discriminating buyers and sellers of prestigious homes and also those seeking country & equine homes. 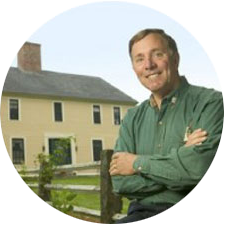 I once renovated a 1790’s farmhouse and created an authentic early American Colonial living experience by renting the home as a vacation rental property, attracting customers the world over. I bring that same marketing experience and computer savvy to my present-day position when marketing your home. Want the inside scoop on the difference between (say) Amherst and Peterborough, NH or need to know if Keene NH would work for your needs? Need access to areas within the central highway corridor of New Hampshire? As a lifelong NH resident, I know this State inside out. I love to work with out of State buyers! My genuine interest in architecture began in the 1980s while working alongside my father, a master craftsman of period construction and renovations, whose work was featured in Colonial Homes magazine. I quickly developed a trained eye for quality design and superior details in houses. An enduring love of antique homes is reflected in the historic homes I have lived in—an 18th century schoolhouse, a circa 1872 church manse, and a 250+ plus year old stone and brick colonial my husband and I renovated. Representing clients listing or selling historic homes is my passion. Born and raised in Rockland County, Maiken is a graduate and alum parent of Green Meadow Waldorf School. 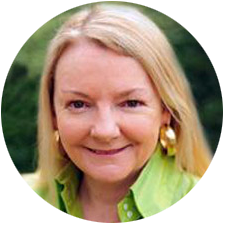 She has a Master’s degree in Decorative Art History from F.I.T., and spent years as a professional decorator and restorer of old houses, yachts, and antique furniture (including working on the former Nyack home of Helen Hayes, Pretty Penny). In 2005 Maiken became an Associate Broker at Weld Realty, where her highly trained aesthetic is constantly applied to assist clients’ in presenting their houses in the best possible light. For buyers, her restoration and old home expertise has become an essential asset when looking for and becoming educated on unique one of a kind homes. Maiken is one of the top producing agents at Weld since starting her real estate career, and as a founding member of Weld Realty, she also enjoys supporting newer agents to mentor and help them hone their skills. Kelli Ide along with Michael DeRosa Exchange, LLC, specializes in unique properties in Central New York and the New York City area. Kelli has always loved the architectural character of older homes and the stories they tell. Kelli’s team offers a full service approach to buying and selling, specializing in “Style to Sell” staging and design services and unique marketing solutions. As a proud Broker/Owner of Weld Realty, and top agent, Laura’s experience in NY real estate goes back all the way to 1988. She has continually purchased, built, renovated, and sold homes, land, farms, and commercial properties for hundreds of happy clients, as well as personally owning and managing multiple local investment properties. Originally trained at Parsons School of Design in Graphic Design, Laura founded MLW Homes – a successful renovation, new construction, and home staging business. She then also worked as an Interior Designer and decorator for some of Nyack’s finest homes. 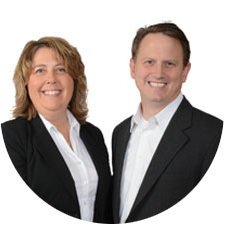 In March 2011, Laura joined the team at Weld Realty, and became part owner and Co-Broker in 2017. Her near-encyclopedic knowledge of Nyack Real Estate, its properties and history, along with her knowledge in construction, finishing, staging, and marketing allow her to assist her clients in reaching their real estate goals at the highest level. Working with Laura, you are considered a valued client for life. With more than 26+ years of experience in selling real estate, Christy continues to be in the top 1% of residential brokers on the North Shore of Long Islands. As a Charter member of the Daniel Gale Sotheby’s Gold Circle of Excellence, Christy was the 2010, 2012, 2014, 2015, 2016 Top Producer for her office and was the Top Agent in Units and Listing for many years and in 2009 achieved the highest sale price in all of Nassau County Achieving in 2016 the Company-wide Production Leader 2nd place. 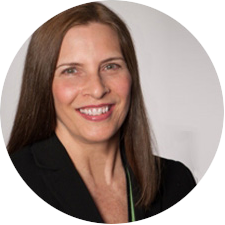 Christy entered real estate with more than 17 years experience as a Vice President, Citibank, N.A., working with companies who had corporate and commercial real estate dealings. This has provided her with a high level of professionalism, dedication, business and understanding the need for confidentiality with all transactions. I have renovated an 1830’s log cabin near Asheville, NC and an 1880’s Victorian in Charleston, SC, as well as an abandoned 1930’s cottage on 240 acres, a former Macadamia Nut Farm in Maui, Hawaii. I have been selling Historic homes in Charleston, SC (as well as beach homes) for almost 20 years. I own my brokerage, Coastal Realty + Management. “The race does not always go to the swift. But to the ones who keep running” This is my favorite quote because it can be carried over to everything we do in life, including the most important investment we will ever make…our home! Perseverance is ultimately what makes us successful! Your accomplishments haven’t come without working diligently and NEVER giving up! I pledge to you that I will never give up until I find the “right” home for you and your family! I am a second generation Realtor. I grew up in the business watching and learning from my mother, Linda Smith, and am proud to be working together with her now as partners! Call us today for expert advice on the market we are currently in. Now is a great time to sell! Many communities have experienced low inventory which means less competition for you! AND, we are seeing prices begin to stabilize and improve! Get a head start on the next buying season and market your home today! We specialize in Lorain and Cuyahoga counties…born and raised here! The area we serve along the Kentucky – Tennessee line is full of historic homes, from Antebellum homes around Nashville, Tennessee to turn-of the-century construction in Bowling Green, Kentucky. Our service in listing historic properties includes research into the significance of the property and professional photo and video including aerial photography and 360-degree tours where appropriate. Michael Berger has specialized with vintage urban properties of San Antonio for nearly 20 years and has received in-depth training with the San Antonio Office Of Historic Preservation and the San Antonio Conservation Society in all matters associated with vintage properties. His passion ranges from Mid-Century Modern all the way back to turn of the century construction. Being an “Old Neighborhood Specialist”, Michael understands the nuances of representing buyers and sellers of vintage properties unlike other agents and his experience will prove invaluable to even the most discriminating buyers. I had always loved history and growing up in Virginia there was always places to visit and experience. As a Realtor my love for history continues in being able to list and sell older and historic homes. I also have experience with selling farms, so if your home is on a lot or acreage I can get your home sold. I have sold homes that have been completely restored and homes that needed major restoration and I love doing them all. I love old houses and history!! I have owned property in 3 of Lynchburg’s 5 Historic Districts (my current house was built in 1883) and renovated a dirty old garage into my beautiful restaurant in Historic Downtown Lynchburg. I have renovated 16 properties (I didn’t do ALL the work) and I LOVE the creative process of putting dilapidated old properties back to love and life. I will be thrilled and honored to help you get happily involved in YOUR old house in Lynchburg, VA, which is a wonderful place to live! Born and raised in Georgia, Cristina moved to Washington 6 years ago and now considers the PNW her home. Here, she has thrived – building strong relationships within the real estate community and her own neighborhood. Cristina is mom to spunky, funny and energetic 6 year old, named Arbor. From showing homes and negotiating for her clients to ballet, soccer and play practice, Cristina is constantly striving to exceed her clients’ expectations while ensuring her daughter is as involved in the community as she is. Cristina has a lifelong love affair with learning. In her down time, you can find her reading, studying interior design or working towards her Feng Shui Certificate. I started my career in real estate as a Property Manager, managing single-family homes and investing in rental houses, but quickly realized that helping people buy and sell their home in a smart, strategic way is my calling. My team began developing a marketing program for buyers coming from the D.C. area and beyond to purchase more for their money in a more rural area of Virginia and West Virginia. Over the years, we found that our expertise in attracting buyers from metro areas was extremely useful to our seller clients, too. In 2003, when I moved from New York City/Washington D.C. to Charles Town, WV, I was lured by the beauty of the area, the community spirit and welcoming people I encountered, and by the fact that I could afford an actual house rather than a tiny hole in the wall! (Fast forward to the present and I still own that house as a rental and haven’t left this fabulous area!) Many buyers and sellers in the area are like me. They are moving from a more urban area and demand a negotiation plan, whether buying or selling, and a tactical marketing of their property. I enjoy working with sellers who want to get top dollar for their property through our strategic marketing and good old-fashioned elbow grease. It is the synergy between individuals and their connection to one another and to their communities that has always inspired me. My aim is to help connect my clients with their perfect place, to help get them get closer to knowing that sense of community and connection that we all strive for. Basing out of Jefferson County, WV, we are fortunate to share close borders with Virginia, Maryland and Pennsylvania. 4 State Realty is in the unique position of offering assistance to buyers and sellers in any of these 4 states. It is the exploration of the communities and city centers, the things to do, the places to go and the people that make up these communities that is my driving force. I would love to help you as a buyers agent or help you sell your home(s). Looking forward to working with you soon. In my 19th year of being a full time Realtor serving the Lakeshore area of Wisconsin. I have had a number of Historic homes that I have listed and sold. This past year I had 3 properties listed built between 1893-1898. Are You a Real Estate Agent Specializing in Old Houses?